• Family Skate Night – Lace up your skates with family and friends at the Whiteshell Community Club on Friday night for Family Skate Night, running from 4 p.m. to 8 p.m.
• Casino Night & Texas Hold’em Tournament – Put on your poker face for the Casino Night and Texas Hold’em Tournament. Both begin at 8 p.m. at the Whiteshell Community Club. Entry fee is $40. Organized by Falcon Beach Auto Service. • Beer Gardens – Enjoy a beverage at the beer gardens at the Whiteshell Community Club, open from 5 p.m. till 1 a.m.
• Tickets for the variety auction will be on sale from 5 p.m. to 11 p.m. on Friday at the Whiteshell Community Club. All tickets must be in by 4 p.m. on Sunday. • Breakfast – Start off your day with breakfast at the Whiteshell Community Club. Served from 8:30 a.m. to 11:30 a.m.
• Beer Gardens – Open from 11 a.m. to 1 a.m. on Saturday – Cheers! • Snowmobile Poker Derby – Last year’s poker derby saw tons of sleds through the trails of the Whiteshell and this year organizers are hoping for the same. The derby runs from 10 a.m. to 4 p.m. and will start and finish at the Whiteshell Community Club. A single hand is $10 or three for $25. Wild cards will be available for $5 each. Awards will be at 7 p.m. at the Whiteshell Community Club. 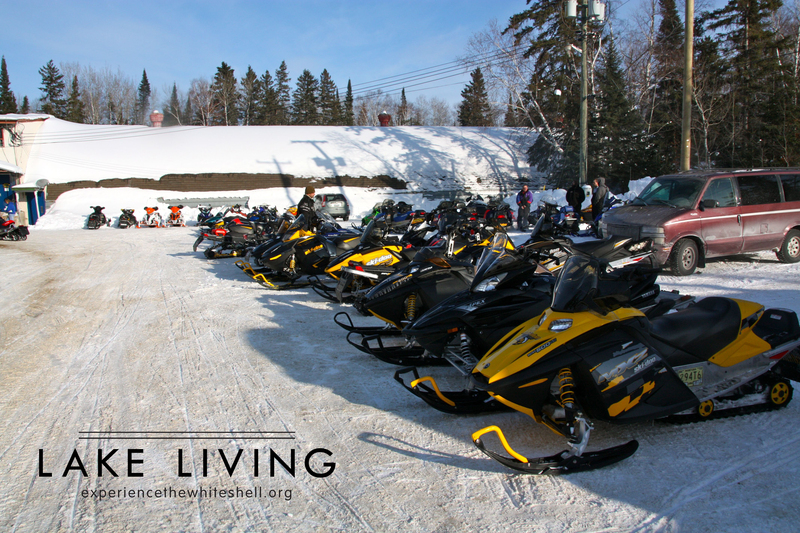 Snowmobiles lined up outside the Whiteshell Community Club at last year’s Beaver Days poker derby. • Snowmobile Demo Day – Want to take a brand new sled out for a test cruise? Well, you will be able to do that at Beaver Days thanks to Winnipeg Sport & Leisure and Enns Brothers, who will have their new fleet out on display in the Falcon Mall parking lot from 10 a.m. to 3:30 p.m. Come sign up and take one of these shiny new sleds out for a spin! 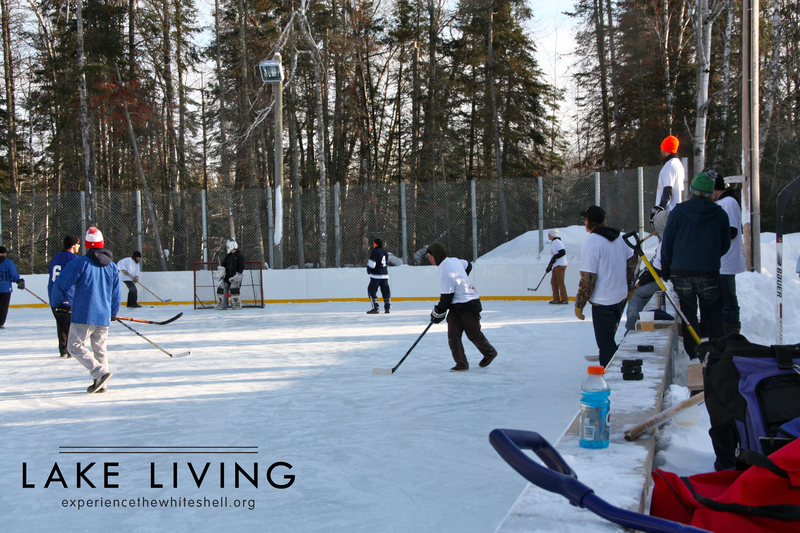 • Sponge Hockey Tournament – Sign up you and your friends in the sponge hockey tournament at the Whiteshell Community Club, starting at 11 a.m. on Saturday. Register in advance by calling Ian at 1(204)295-6052. Registration is $150 per team. The sponge hockey tournament at the Whiteshell Community Club. 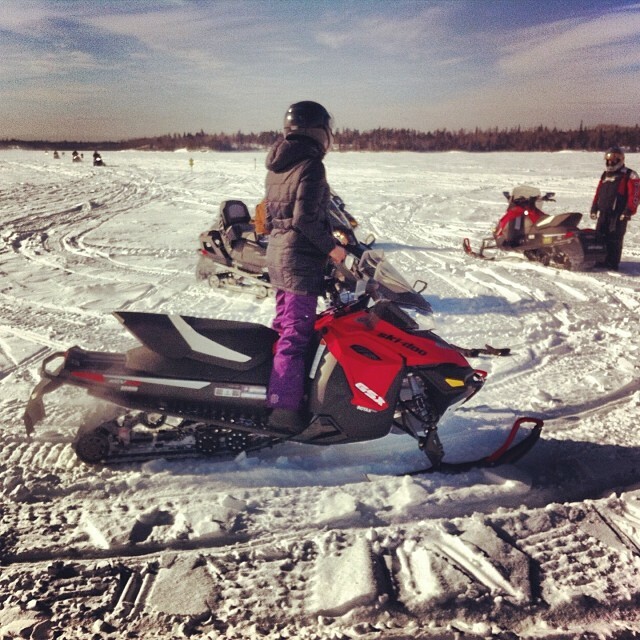 • SnoMo Radar Runs – Head out for a rip across frozen Falcon Lake in the SnoMo Radar Runs, running on Saturday this year from noon to 3 p.m. at the Falcon Lake main beach. Prizes will be awarded at 7 p.m. at the Whiteshell Community Club. • Homemade Food – Enjoy delicious homemade food, including tasty ‘beaver tails’, at the Whiteshell Community Club canteen, open from noon till 4 p.m.
• Kids’ Activities – As previously mentioned, Beaver Days is a fantastic event for the entire family with lots of activities that will keep the kids going all weekend! From noon till 3 p.m., there is a variety of kids’ activities at the Whiteshell Community Club, including face painting, crafts, and games. ‘Daisy Dot’ will also be making an appearance with her animal balloons and cool glitter tattoos. 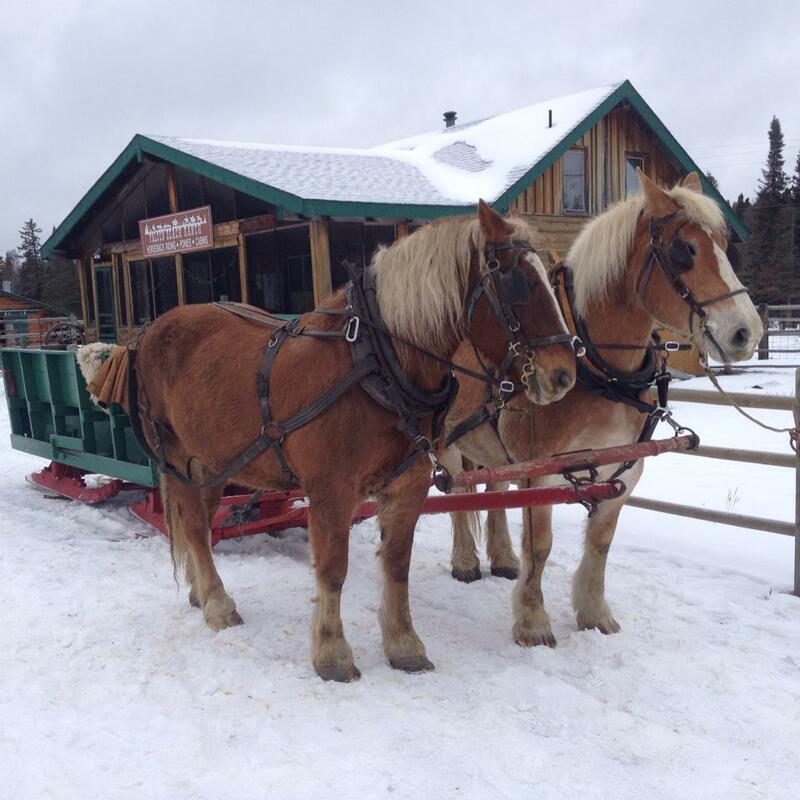 • Horse-Drawn Sleigh Rides – Let a beautiful team of Belgians from Falcon Beach Ranch give you a tour of the area. Pre-register at the gym. Several time slots are available throughout the afternoon. The team of Belgians at Falcon Beach Ranch. 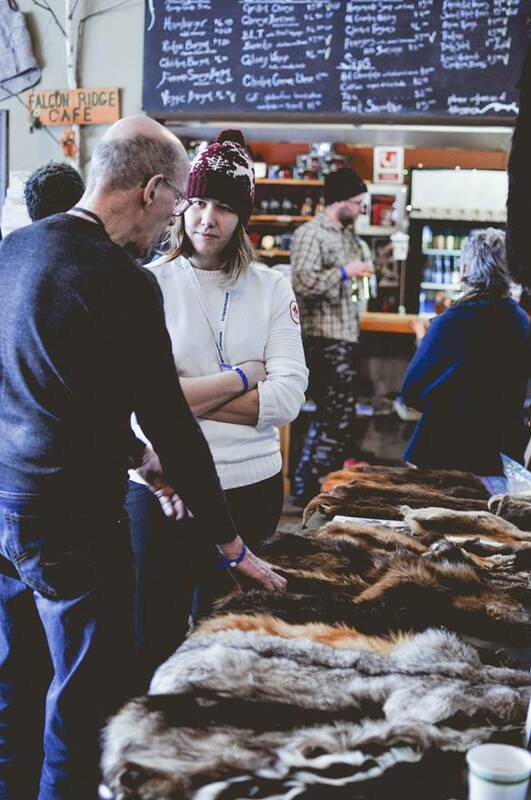 • Whiteshell Trappers Fur Display – Check out the display of beautiful furs and chat with the friendly folks of the Whiteshell Trappers Association to find out all about trapping, furs, and conservation. The display will run from 1 p.m. to 4 p.m. in the Whiteshell Community Club. Whiteshell Trappers Association. Photo by Emily Christie. 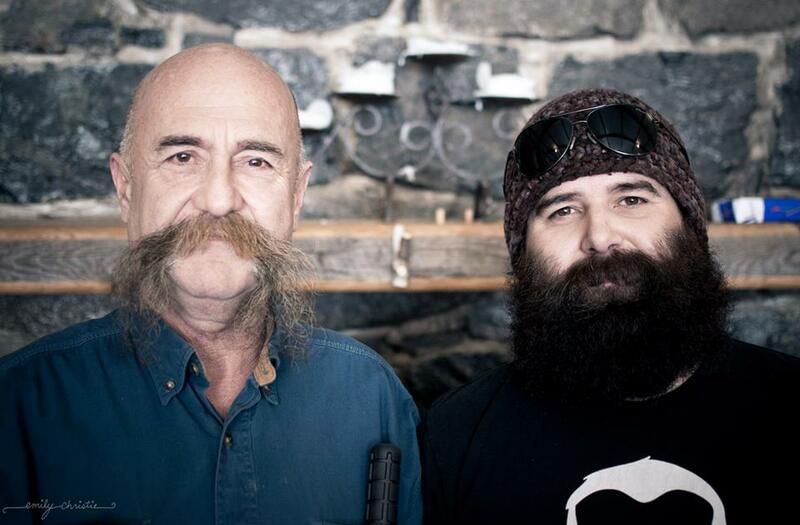 • Beard and Moustache Competition – The Falcon Ridge Ski Slopes are once again giving you a chance to flaunt your facial hair. The competition runs from 10 a.m. to 5 p.m. on Saturday and 10 a.m. to 1 p.m. on Sunday. Judging will happen at 2 p.m. and winners will be announced at the Whiteshell Community Club at 4 p.m. on Sunday. Head down to the Falcon Ridge Ski Slopes to show em’ what you got! • Family Skating – At 7 p.m. on the outdoor rink at the Whiteshell Community Club! • Beaver Days Stand Up Comedy Special – Have a few laughs at the Whiteshell Community Club for the Beavers Days Stand Up Comedy Special, featuring the Peg City Comedy Troop. The humour starts at 8 p.m. and tickets are $15 at the door. • Silent auction tickets and variety auction tickets will be on sale all day on Saturday at the community club. • Breakfast – From 8:30 a.m. to 11:30 a.m. at the Whiteshell Community Club. • Beer Gardens – From 11 a.m. to 1 a.m. on Sunday. Cheers! • Kids’ Poster Contest – Judging is at 11 a.m. at the community club. • Cross-Country Prediction – New this year, the Cross-country Ski Prediction contest allows you to enjoy the beautiful groomed ski trails of the Whiteshell, get some exercise, and have a little competition at the same time. 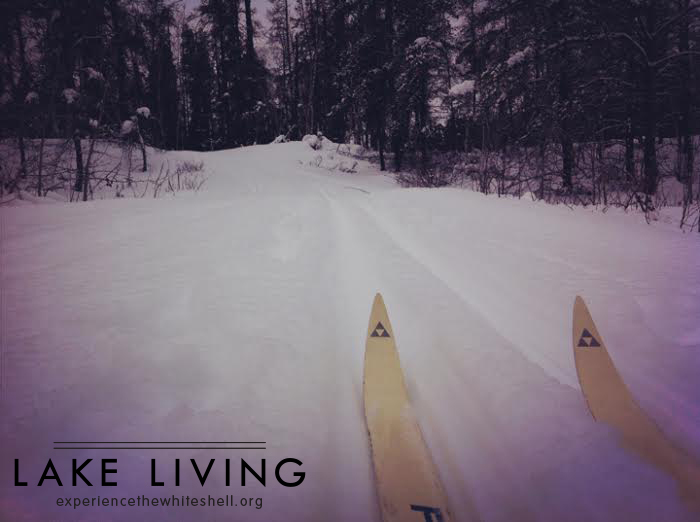 But you don’t have to be the fastest skier to win – You just have to know your pace. Participants will estimate how long it will take them to complete a loop on the ski trail and the skiers that finish closest to their predicted time will win! No timing devices allowed. Begins at noon at the Falcon Beach School. Prizes sponsored by Dog Creek Spa & Kennel. • Whiteshell Trappers Fur Display – From 1 p.m. till 4 p.m. at the community club. • Beard and Moustache Competition – At the Falcon Ridge Ski Slopes from 10 a.m. till 1 p.m. Judging happens at 2 p.m. and prizes in several categories will be awarded at the community club at 4 p.m. See your beard there! • Chili Cook Off – One word: Delicious! Register your finest pot of chili at 2 p.m. at the community club. Judging happens at 3 p.m.
• Mini Cupcake Contest – Kids only event. Register one dozen cupcakes at 2:30 p.m. Judging will take place at 3:30 p.m.
• Variety Auction – Hand in tickets by 4 p.m. Prizes will be drawn at 5 p.m. at the community club. 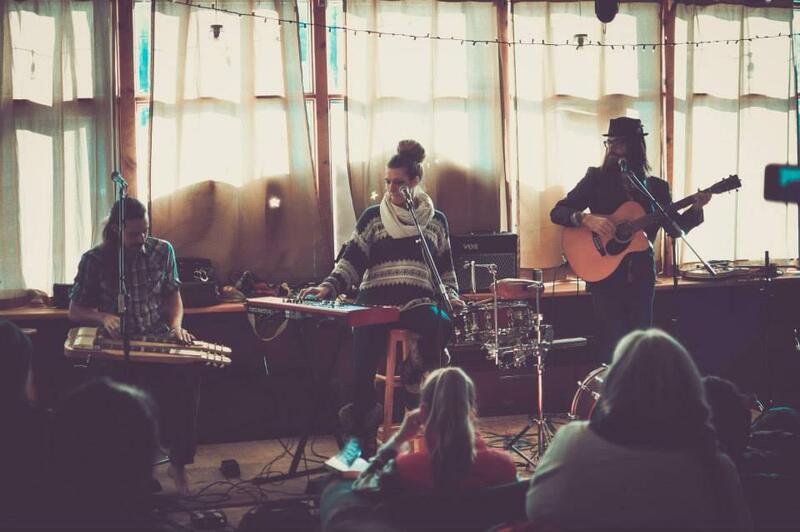 • Red Moon Road – The talented trio will be performing at the community club at 5:30 p.m. Courtesy of Falcon Trails Resort. Organizer’s note: This annual event is made possible by many volunteers and is the primary fundraising event for the Whiteshell Community Club. Money raised during this festival gives year round access to the services and facilities of the Whiteshell Community Club. The ongoing generous support from sponsors and volunteers help make Beaver Days a winter highlight for many families. See you there! — Compiled by Marney Blunt, Experience the Whiteshell editor/founder. This entry was tagged Beaver Days, Cross-country skiing, Dog Creek Spa & Kennel, Enns Brothers, experience the whiteshell, Falcon Beach Ranch, Falcon Lake, Falcon Lake Auto Service, Falcon Ridge Ski Area, Falcon Trails Resort, Family, friends, kids activities, skating, Sleigh Rides, Snowmobile, Sponge Hockey, West Hawk Lake, Whiteshell Community CLub, whiteshell provincial park, Whiteshell Trapper's Association, Winnipeg Sport & Leisure, Winter Festival. Bookmark the permalink.